India Women vs New Zealand Women 1st ODI: Continuing her rampaging form in international cricket, opener Smriti Mandhana hammered her 4th ODI hundred to set up India’s thumping nine-wicket triumph over New Zealand in the opening ODI of a three-match series on Thursday. Smriti was ably supported by teen sensation Jemimah Rodrigues, who scored her career-best 81* that helped the women in blue complete their big win in Napier. Mandhana (105) and the 18-year-old Rodrigues (81 not out) stitched together a record highest opening stand (by any pair) versus New Zealand to script a clinical win for the tourists. The duo put together a batting masterclass after the bowlers did the job for India by bundling out New Zealand for a below-par 192. Competing in their first series after the furore that followed the team’s T20 World Cup exit in the semifinals last year, the Indians produced a thoroughly clinical performance to eke out the comfortable victory in 33 overs. This was 22-year old Mandhana’s 4th century in ODI cricket, all of them coming outside India. Also, she becomes the only second woman in history of ODI cricket to score century in Australia, England, South Africa and New Zealand. Claire Taylor is the other batswoman. While Mandhana, fresh from winning the ICC women’s cricketer of the year award, slammed her fourth ODI hundred, Rodrigues notched up her maiden international half-century. “I think it’s great to start the series with a win and wonderful to see openers get an over 100-run partnership. I think lot of girls do look up to Mandhana. 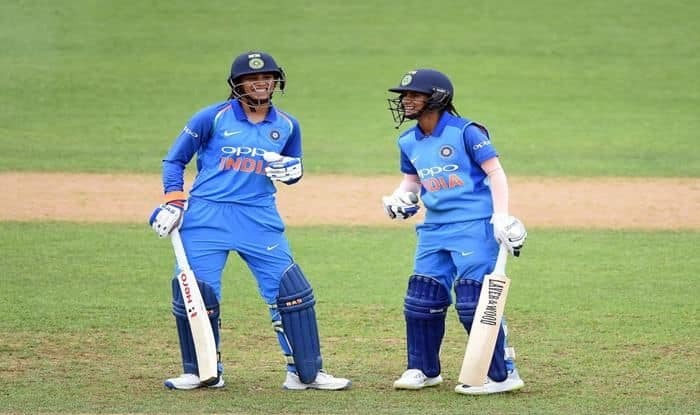 She had a great 2018 and she is continuing and it gives a lot of confidence to the dressing room,” India captain Mithali Raj said in the post-match presentation. “But easy catches should have been taken though. We are definitely not overconfident,” she added, referring to the shortcomings she noticed. Mandhana’s 104-ball knock included nine fours and three sixes, while Rodrigues managed nine hits to the fence. “The wicket was great to bat on. We played according to the merit of the balls and it was a great innings,” she said. An overcast sky meant that the two teams did not face the sun-strike that halted play for nearly half an hour in the men’s game on Wednesday. Earlier, put in to bat, New Zealand let slip a good start and crumbled in the face of India’s relentless spin combination of Poonam Yadav and Ekta Bisht. Both Bisht and Yadav snared three wickets each to put the visiting side on top. Yadav, in fact, ripped through the White Ferns’ middle order, claiming the scalps of skipper Amy Satterthwaite (31), Lauren Down (0) and Amelia Kerr (28) in her quota of 10 overs. This was after Susie Bates (38) and Sophie Devine (28) gave New Zealand a solid start. But Devine’s run out by Deepti Sharma triggered a collapse and New Zealand folded in 48.4 overs. Bates’ 38 off 54 balls, including a couple of fours, was the best that any home batsman could manage.